A warm hooded jacket for active use in varied conditions. 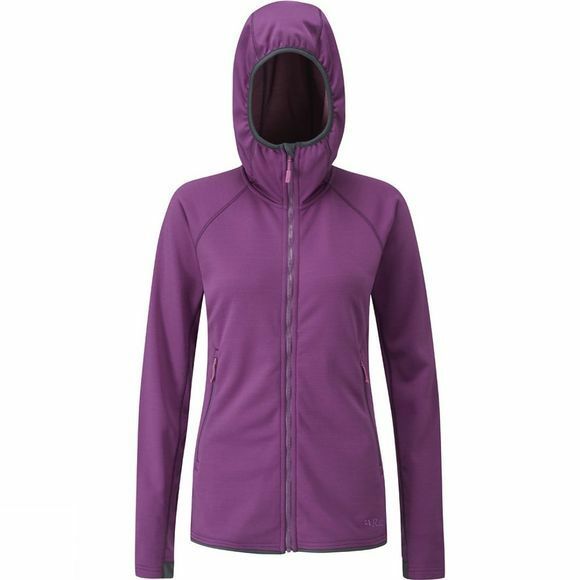 The MerinoIn fabric of Rab's Women's Focus Hoody is a is a blend of polyester and Merino wool that provides warmth and effective moisture management. The hood is designed to be worn under a helmet and the flatlock seams help to minimise chafing.